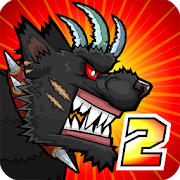 The beasts are back in Mutant Fighting Cup 2! BIGGER! BETTER! MORE FEARSOME THAN EVER! Evolve, mutate and train your monsters to win the monster championship in hard brutal turn-based strategy battles!